At times, we may seem inundated with the number of available choices available to us in the hearing aid market. You may ask yourself, “Which hearing aid is best for me?” In this article, learn what to consider when choosing a hearing aid. As someone with possible hearing loss or having a history of wearing hearing aids, you may have mulled over the decision to buy new or buy again more than once. But, we humans tend to be fickle and possibly presumptuous about placing a plastic device inside our ears for an extended time. 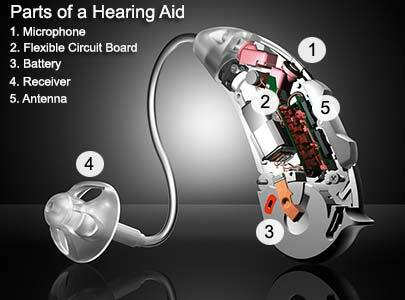 We may worry about how the hearing aid will look once fitted or if it will really help with our hearing loss. But understanding our anxiety can help when we go to research what to look for when purchasing a hearing aid — and this may relieve some of our concerns. For the most part, hearing aids come with fundamental parts that transfer sound from the environment around you into your ear. The contention may come when we start to decide or research the number of different hearing aid styles available to us, which can vary in size, shape, and the way that they are fitted onto or into your ear. Some hearing aids are small enough to go inside the ear canal, which allows them to be barely visible — or what popular terminology refers to as invisible hearing aids. Other hearing aids only partially go inside the ear canal; thus, these are more noticeable to the eye. On average, the smaller the hearing aid, the less power it may output given its engineering for a smaller form over total power output. A smaller hearing aid might also have shorter battery life and because of its precedence on being small, it may cost us more. Completely-in-the-canal hearing aids are molded to be fit inside the ear canal and generally improve mild to moderate hearing loss in adults. Barely (if it all depending on the situation) noticeable in the ear; thus, helping out those with concerns over general appearance of the hearing aid in the ear. More resistant to wind noise because of its placement inside the ear canal. Convenient to use with telephones generally. Employs a smaller sized battery because of its design, which may not last as long as others. Might not have an exhaustive feature set because of its smaller design; features reduced may be volume control or directional microphones. In-the-canal hearing aids generally are custom molded and are fitted partially in the ear canal, but may not go as deep as the completely-in-canal hearing aid. This hearing aid is also sufficient for mild to moderate hearing loss in adults. Not as noticeable in the ear; thereby, the look is proper attire for many who are concerned with how the hearing aid looks when fitted. Still convenient to use with the telephone. Includes extra features that the completely-in-the-canal hearing aid might not offer. The smaller form of this hearing aid may pose a difficulty when trying to adjust certain things on it. May be troublesome to users with smaller ears. Half-shell hearing aids are usually smaller versions of the in-the-canal hearing aid. They are custom molded and generally fit into the lower portion of the bowl-shaped area of your outer ear. These are appropriate for mild to moderately severe hearing loss. Larger than the in-the-canal hearing aid. More convenient to handle versus smaller hearing aids. Has additional features such as directional microphones and volume control. It a common fit for many ear shapes and sizes. In-the-ear or full-shell hearing aids are also custom made and fill up most of the bowl-shaped area of your outer ear. This style is appropriate for mild to severe hearing loss. Noticeable to others because of its larger size and fit. May occasionally pick up more wind noise because of the aforementioned size. Easy to adjust and has easy-to-use features such as volume control. Easier to use and insert into the ear. Employs larger batteries, which can last longer and are easier to store and handle. Behind-the-ear hearing aids are able to “hook” over the top part of your ear and rest behind the ear. This hearing aid picks up sound, amplifies it, and transfers that sound to an ear mold that goes inside your ear canal. This hearing aid type is appropriate for almost any type of hearing loss — and it is consider for most ages as well. The largest size and most visible to the eye; however, newer versions try to streamline the bigger size. Amplification capabilities that are stellar and provide high output volume. Open fit hearing aids are primarily very small behind-the-ear style hearing devices. Larger behind-the-ear hearing devices can also be augmented to a more open-fit style. Sound is transmitted through a small tube or wire to a dome or speaker in the ear canal. These hearing aids leave the ear canal open, so they are better and more suited for mild to moderate high-frequency hearing losses whereas low-frequency hearing is still normal or near normal. Less visible than larger behind-the-ear counterparts. Fits “open” in the ear canal and does not “plug” into the ear canal. May lack the ability to adjust things manually because of the smaller size. The electronics in hearing aids determine how sound is transferred from the environment around you to your inner ear. Hearing aids work by amplifying these sounds, thus increasing their amplitude or volume, so that someone with mild, moderate, or even severe hearing loss is able to hear better. Today, hearing aid manufacturers singularly produce digital hearing aids because of their feature-rich improvements. Digital hearing aid technology uses a tiny computer processor to convert the sound around you into digital bits; the digital hearing aid then analyzes the data it receives and adjust the amplification and sound accordingly — on the fly. It also could adjust based on your hearing loss and listening needs of your environment depending of if it is a noisy or quiet environment. The digital signals are converted into sound waves and sent into the ear. The result? A sound that is tuned to the environment around you. Digital hearing aids are available in all styles and price ranges. Directional Microphones. These microphones provide improved ability to pickup sound based on direction — in front, back, or beside you for example. This technology improves your ability to hear in noisy environments. Telephone Adapters. Also known as the telecoil, which allows easier listening when talking on the telephone. The telecoil reduces other sounds from the environment other than the telephone in your ear; thereby, this increases your ability to listen to others on the telephone. Some hearing aids automatically switch when a telephone is held near the ear. Other hearing aids may required pressing a switch to engage the telecoil. This technology works with telephones that are compatible. Cell phones are a completely different story and something like Bluetooth™ is needed to operate more effectively with a cell phone. Bluetooth™ Technology. Newer digital hearing aids can use Blueooth™ wireless technology effectively to transmit sound from devices such as a cell phones. These require a device to receive and send wireless signals to and from the devices to your digital hearing aids. Since this is improved technology, you do not physically have to hold the cell phone close to your ear to activate it. Remote Controls. Some digital hearing aids employ a remote control that allows for volume control adjustments without fussing around with the hearing aid. The remote could also make other adjustments that activates the microphone or increases noise reduction. When looking for a hearing aid, explore your options and see what is out there for you. As you research more, you will get a better idea of what type of hearing aid you may required or want. Take a free hearing test. In order to determine the best hearing aid, you will need to take a hearing test to determine your level of hearing loss. Sometimes hearing problems could be easily removed earwax. Have a licensed hearing aid dispenser and specialist evaluate your ear with a free video ear canal exam for a complete inspection into earwax issues. Inquire about a hearing aid trial period. Hearing aids require some time to adjust and allow for the person to make an informed decision before committing fully. It could take awhile to get familiar or comfortable with a new hearing aid. Most reputable hearing aid dealers allow for a 30 or 60 day trial period for you to get accustom to the new hearing aids. Look into the cost of hearing aids. Hearing aids vary widely in cost — from several hundred dollars to several thousand. It is best then to understand key differences and features of a hearing aid in order to approximate cost for you. Reasonably priced hearing aids normally have a good balance between features and cost. Also, if you are a veteran, you may be able to receive steep discounts on hearing aids; as well, if you take part in the Federal Employee Health Benefits or Federal Bluecross Blueshield program, you may be able to receive free hearing aids at no cost to you. Always check your health insurance policy to ensure what is covered and what is not for hearing aids. Becoming accustom to new hearing aids takes time and patience. One analogy could be a brand-new mattress set and becoming familiar and relaxed with the new set and sleeping in it. Just like that new mattress set, new hearing aids require a time for adjustment to the new look and feel. You may experience sounds you never heard as clear or loud before. Even your voice may sound more accurate but also different than before. Hearing aids do not entirely cure hearing problems. Hearing aids do the best job they can to correct hearing loss, but not cure it. Your hearing will undoubtedly improve, but not to pristine levels before you had hearing loss. Allow time to adjust. It could be several weeks or months before your new hearing aids feel like normal. The more you use your new hearing aids, the more you will feel comfortable over time and the quicker you may likely adjust to the hearing aids. Test using the hearing aid in different environments. Since your hearing will now be amplified by the hearing device, it is a great idea to practice using your hearing aids in a variety of situations and environments to gauge your new hearing level. You could also speak with other hearing aid users about their personal experiences to get a better idea of expectations in the long run. Schedule a follow-up. Most hearing aid providers include follow-ups as a convenience to customers. It is a good idea to schedule an adjustment or see your hearing aid specialist for further recommendations as you wear your new hearing aids. They can make your hearing aid work the best for you. Though wearing a hearing aid may take time and patience for you to adjust to the changes, once you adjust to your new hearing environment, you will likely enjoy the fidelity and clarity of new sounds and experiences uniquely delivered by your hearing aids. By wearing your hearing aid and taking care of it on a regular schedule, you may notice long-term improvements towards the quality of your hearing and life.